MONTREAL - A man arrested on terrorism-related charges will have a bail hearing Tuesday after an investigation police say was sparked by a Facebook posting. Nejib Belhaj-Chtioui, 36, faces two charges relating to the terrorism hoax section of the Criminal Code — conveying information and committing an act to cause reasonable concern that it is connected to a terrorist activity. Provincial police spokesman Sgt. Ronald Mc Innis said authorities began looking into Belhaj-Chtioui in 2011 after being alerted that the suspect "wrote something on Facebook." The investigation was conducted by a police unit that probes extremist threats. Neither police nor the Crown would say on Monday what Belhaj-Chtioui allegedly wrote. 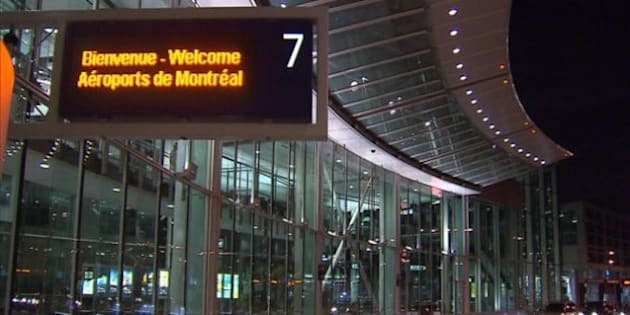 Police said he was the subject of an outstanding warrant and was arrested Sunday at Montreal's Pierre Elliott Trudeau airport upon returning from Tunisia. Crown prosecutor Lucie Martineau objected to Belhaj-Chtioui's release on Monday because he hadn't been in Canada and was arrested at the airport. She wouldn't say if she thought he would flee the country if freed, adding, "I just objected to his release today and we will know more about him tomorrow (Tuesday)." Martineau said there had been a warrant out for Belhaj-Chtioui's arrest since 2013 for acts allegedly committed between May 13 and May 20, 2011. She added she believed Belhaj-Chtioui had been out of the country since the warrant was issued. A woman who claims she had a child with Belhaj-Chtioui attended the court appearance and said she and the accused were never married and are no longer together. He had been in Tunisia for the past 18 months, she said. "I just came here to see what will happen to my girl's father," the woman told reporters. Belhaj-Chtioui's Facebook page indicates he has 11 friends on the social networking site. The page says he lives in the Tunisian capital, Tunis, and used to work for Bell Canada.